The average home can be surprisingly dangerous for dogs. Aside from poisonous human foods, such as chocolate or onions, many household cleaning chemicals can also be harmful. Unfortunately, many owners aren’t aware of the dangers of cleaning products. While most cleaners only cause mild irritation, they can still lead to discomfort, vomiting and diarrhea. In the worst cases, dangerous chemicals may contribute to kidney damage, liver problems and even cancer. How can you tell which chemicals are safe for your pet though? And which should be avoided? Here are five cleaning products dog owners should avoid. Note: This article is meant as a guideline only. Please make sure you read and follow the labels of any cleaning product you use. Contact your vet immediately if you suspect your dog has been exposed to a poisonous substance. If properly diluted, rinsed and aired, bleach can be a safe household cleaner. It’s dangerous when undiluted or used incorrectly though. For this reason, if you’re using a product that contains bleach, always follow the label and make sure any mops or cloths are stored. This chemical is used in many toilet bowl cleaners and disinfecting products. Pet owners should avoid this ingredient, as it can cause respiratory difficulties, tissue damage and other nasty problems. Ammonia is found in degreasing products. On its own, it can cause respiratory problems and other issues in dogs. When mixed with bleach, the resulting gas is poisonous and potentially deadly. Some dogs have a habit of drinking out of the toilet bowl. This isn’t hygienic at the best of times, but continuous toilet bowl cleaners can make it potentially dangerous. Chlorine and similar products can burn a dog’s throat and mouth, so it’s vital to be careful which products you use. The easiest way to solve this issue is to prevent your dog drinking from the toilet. If that isn’t possible, don’t use a continuous cleaner that clips to the side of the bowl. Instead, use a manual cleaner and keep your dog out of the bathroom until it’s been washed away. Providing multiple drinking bowls can make it less likely that your dog will choose the toilet. As The Dog Clinic mentions, water fountains may also be a better choice if your dog prefers fresh water. It can be easy to forget that the bait used in insecticides is poisonous for other animals. The type of chemical varies, but make sure you choose one that’s safe for dogs if your pet can access the trap. On a side note, sometimes the trap itself can be dangerous. If your dog has a habit of eating everything he finds on the floor, make sure you only use one in areas he can’t access. Dogs spend a lot of time sniffing the floor, so they are much more vulnerable to toxic floor cleaners. Many common cleaners are potentially dangerous, including Mr. Clean and Pine Sol. 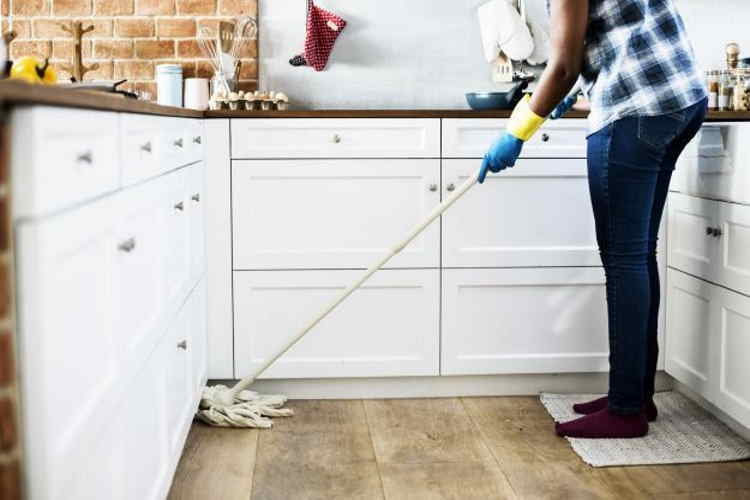 Wiping the floor dry isn’t enough either, as the residue can still be harmful. Fortunately, there are plenty of floor cleaners that are safe for dogs. These cleaners are also healthier for children, so it’s best to use non-toxic alternatives whenever possible. On a side note, many people use a combination of vinegar and water as an alternative to store-bought cleaning chemicals. While this mixture can be effective, make sure your dog doesn’t have access to undiluted vinegar, as it can cause vomiting, pain and diarrhea. Many spray cleaners contain a toxic cocktail of chemicals. While you might not be using the spray on the floor, the chemicals can circulate in the air before being breathed in by your dog. Additionally, if your dog counter surfs, kitchen worksurface cleaners can be potentially dangerous. A good way to judge whether a spray is harmful for dogs is by checking the packaging. If the label says the product should be kept out of reach of animals and children, it’s probably dangerous and should be avoided. There are also cleaners designed to be safer for pets, such as Seventh Generation Multi-Surface Cleaner. Surprisingly, many home cleaning products contain formaldehyde. 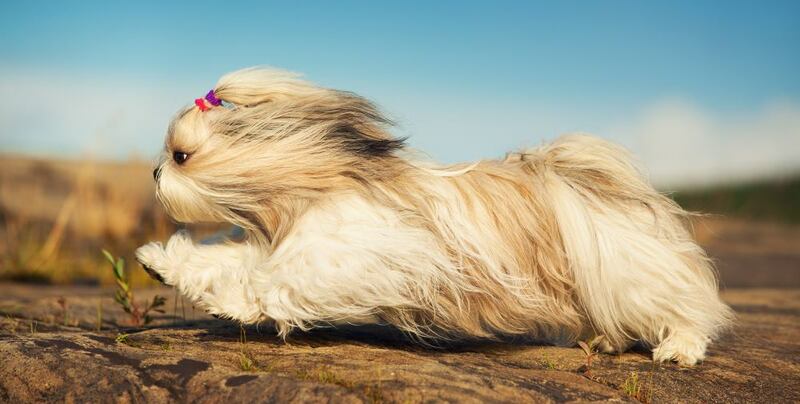 Aside from an unpleasant smell, it’s carcinogenic and may trigger respiratory problems in dogs. It can have a similar effect on humans, so it’s a chemical to avoid. Any type of medication, including over-the-counter or even herbal remedies, could be dangerous for a dog - especially if consumed in large quantities. Keep all medication locked away in a high cupboard. Some common household plants, such as Lily or Azalea, are toxic to dogs. The severity can range from a mild stomach upset to death, depending on the type of plant, so make sure you check the toxicity of all plants in your home. The acid within batteries can cause severe burning to the throat, stomach and intestines. Make sure TV remotes, video game controllers and key fobs are always out of reach - especially if your dog is a chewer. This is particularly important for puppies going through the teething stage. Keeping a home clean can be difficult – especially with a dog - but it’s important to avoid using products that are potentially dangerous for your pet. The good news is there are plenty of non-toxic cleaners that are safe for both humans and dogs. If there are certain toxic cleaners you can’t do without, make sure they are safely locked away, thoroughly clean any residue, and never use them in the same room as your pet.